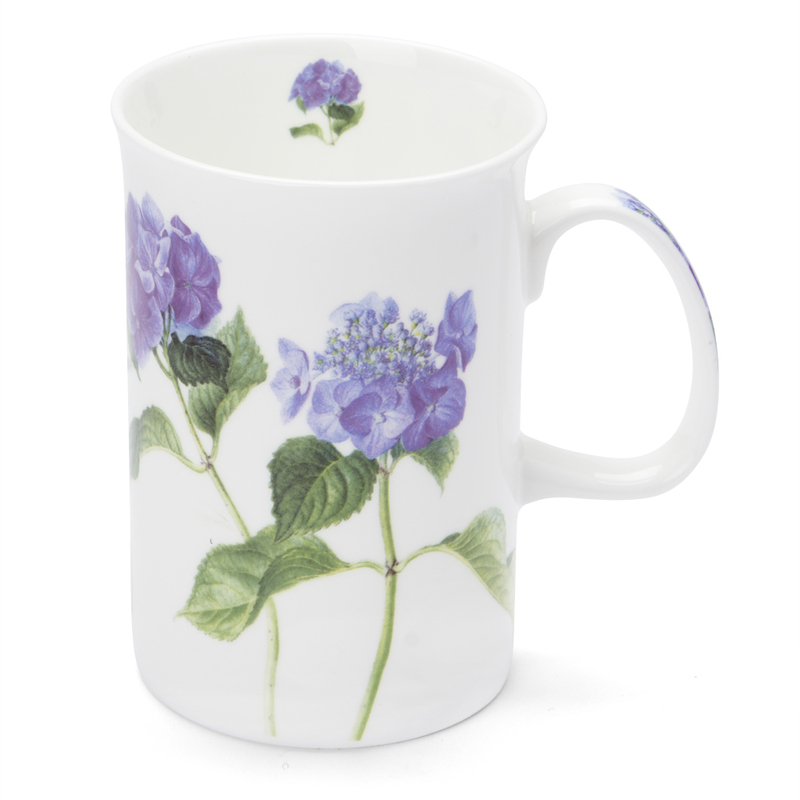 Why do florals and coffee mugs go so well together? Is it that they both inspire relaxation, perhaps in a garden somewhere? Or is it that milky-white china serves as the perfect canvas for functional art? With Ashdene, it's a case of all three. Made from fine bone china, the Hydrangea Mug features a beautiful floral image in blue and purple hues around its surface, as well as a matching motif on the inner rim and handle. The delicate illustration highlights the natural beauty of the hydrangea, a flower that is said to be associated with enlightenment, as one can be easily lost in its abundance of petals. May you loose yourself as well - in the beauty of Ashdene and the calm aura of your next tea break! A beautiful illustration of a hydrangea flower.